A German Journalist Called the Russian Missile Complexes S-400 "A Nightmare for NATO"
BERLIN, Germany (BulgarianMilitary.com) – The Russian S-400 anti-aircraft missile systems are one of the most powerful air defence systems in the world. They are a “bestseller” for Moscow, while they are NATO’s “nightmare”, learned BulgarianMilitary.com, quoting the journalist Gernot Kramper, who has published his review in the German edition Stern. “The United States has dominated the global airspace for a long time, but the S-400 becomes dangerous for the invisible aircrafts. Its features, both in detecting targets and in the range of action, are impressive”, says Kramper. The author of the article points out that the precise characteristics of the complex are unknown to the Western countries. 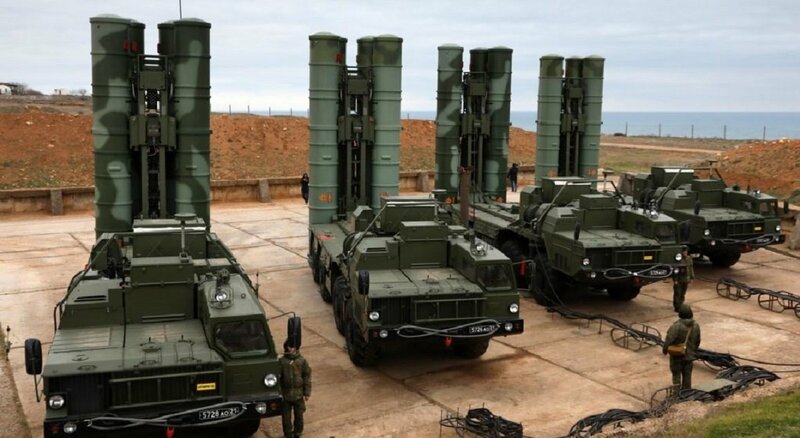 At the same time, their doubts about the ability of these systems to deal with “invisible” were dispelled after buying the S-400 from Turkey and other countries, the journalist writes. “The presence of only one Russian subdivision in Syria has led to the fact that Western aircrafts could no longer control the airspace of the country, with any military flight becoming unpredictable”, the author explains. In addition, the purchase of the S-400 turned to be more profitable for Turkey than the possible acquisition of American complexes Patriot, Kramper writes. “The S-400 is considered to be more advanced than the Patriot system and is almost twice as cheap”, he says. Read more: What is the Real Technical Risk for F-35 if Turkey has the S-400 Anti-Aircraft System? The negotiations between Turkey and Russia on the purchase of the S-400 began in 2016. In 2017, Moscow confirmed that the parties had entered into a contract. Then Erdogan said that Turkey had already gained progress. The United States is still trying to prevent the delivery of S-400 to Turkey. They threaten with sanctions and have repeatedly stated that they can delay or cancel the process of selling their latest F-35s. However, Ankara has frequently declared that it will not give up on its plans to buy Russian complexes.